Make summer last a little bit longer with this recipe for ice pops made with Greek yogurt, pineapple juice, and shredded coconut. 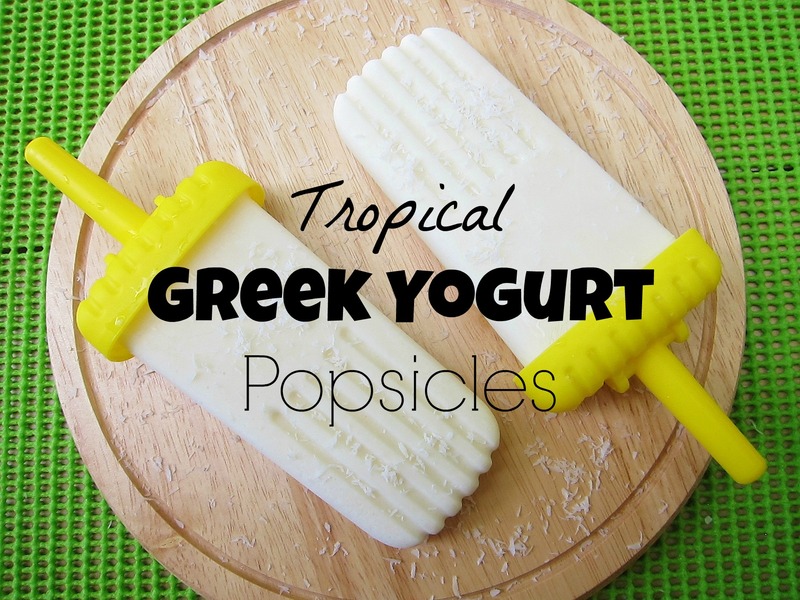 Make summer last a little bit longer with this recipe for Tropical Greek Yogurt Popsicles! If you've never made ice pops before you might think you need hard-to-find ingredients or a lot of time, but this recipe is seriouslyÂ simple and calls for just threeÂ ingredientsâand you might already have them in your kitchen. So you have no excuse to not give this cool treat a try. Just buy a Popsicle mold (or try Dixie cups and popsicle sticks), pour in the ingredients listed below, and freeze for a few hours. Easy as that! MixÂ togetherÂ Greek yogurt, pineapple juice, and shredded coconut in a large bowl until fully blended. Pour mixture evenly into Popsicle molds (or Dixie cups). Enjoy cold from the freezer.